Aren’t you supposed to get smarter as you age? I’m not so sure what happened then….the past two months have been pretty intense for me, lots of racing & lots of fun, but it has resulted in me being very tired & sore. It started sometime in the spring, when I signed up for a race, then another one, then another one….never really looking at the calendar. As the summer went on & I put my fall calendar together, I realized I had signed up for four races in a 6-week period of time. Only one of them was going to be a “big” race, but it’s not like me to sign up for a race unless I can actually “race” it (versus paying money just to go run slow), so I had to somewhat change my normal strategy. 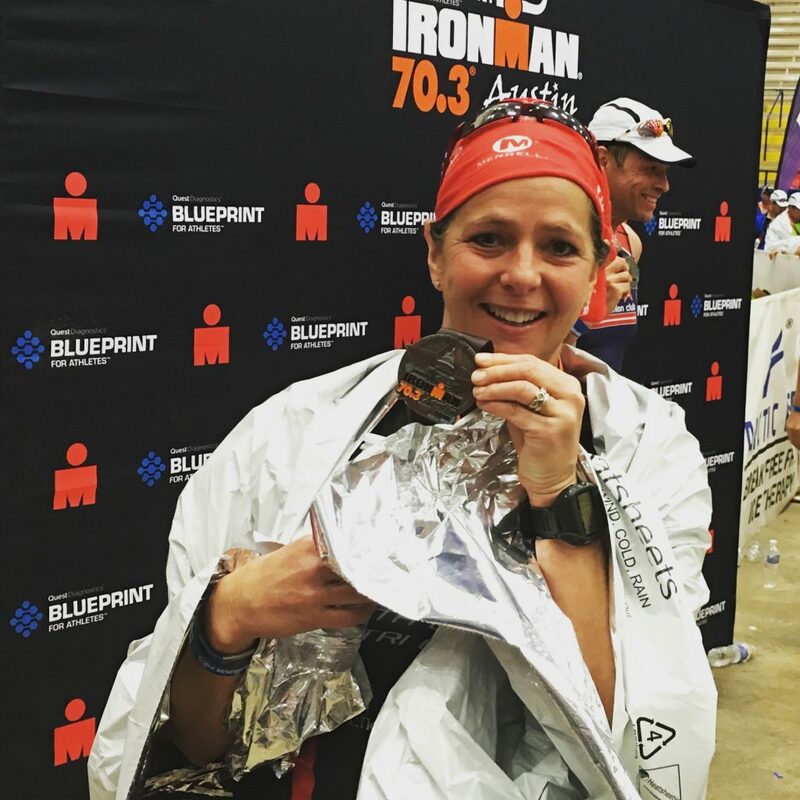 My big race was a Half Ironman triathlon in Austin, TX on November 8th. Before that, I had a half marathon in Chattanooga on Oct. 18th. I went into that race to run steady, not fast and not too slow. Mission accomplished & I had a lot of fun hanging out with friends. However at about mile 12 while going down a very steep hill, I felt a sharp pain suddenly in my knee. It hurt as I ran down the hill, but then slowly went away, but it still scared me. I’ve never had a knee injury and certainly didn’t want one. 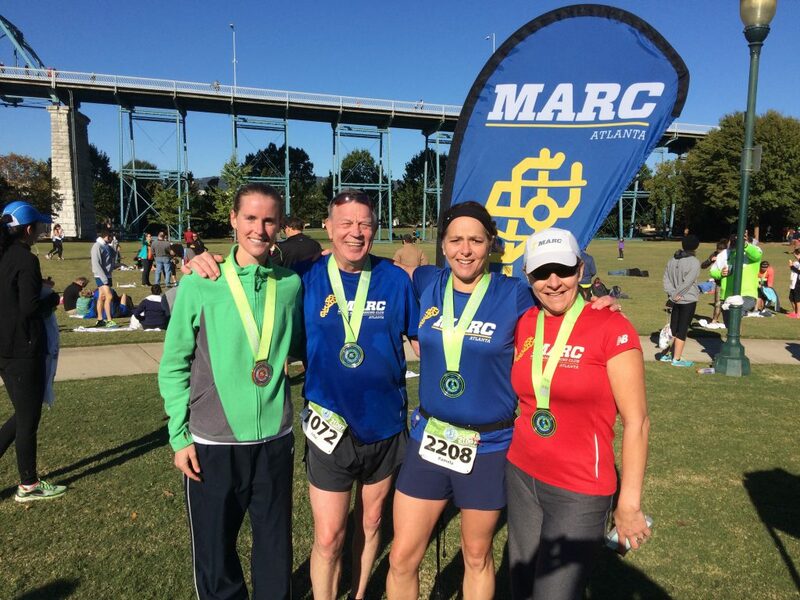 The following weekend was race #2, the Atlanta 10-miler. Since it was two weeks prior to my Half Ironman, I planned on that race being my last long run, so I ran an extra four miles to make it a 14-mile run total. Istayed slow, I did not want to aggravate my knee and did not want to go too hard and be tired heading into the Half Ironman. Two days later I tried to run and couldn’t make it more than two miles because of pain in my knee. Ugh…that is not what I needed. So I spent the next 10 days or so resting it as much as possible. I got adjusted, I got massage & I stretched. Soon enough, I flew to Texas for the race (race #3). This had been the race I had been training for it, however things didn’t go as planned. It was very cold & windy, I was worried about my knee (yet I did manage to run the whole 13 miles), but the race just beat me up. I was sore, I was tired, I was achy. 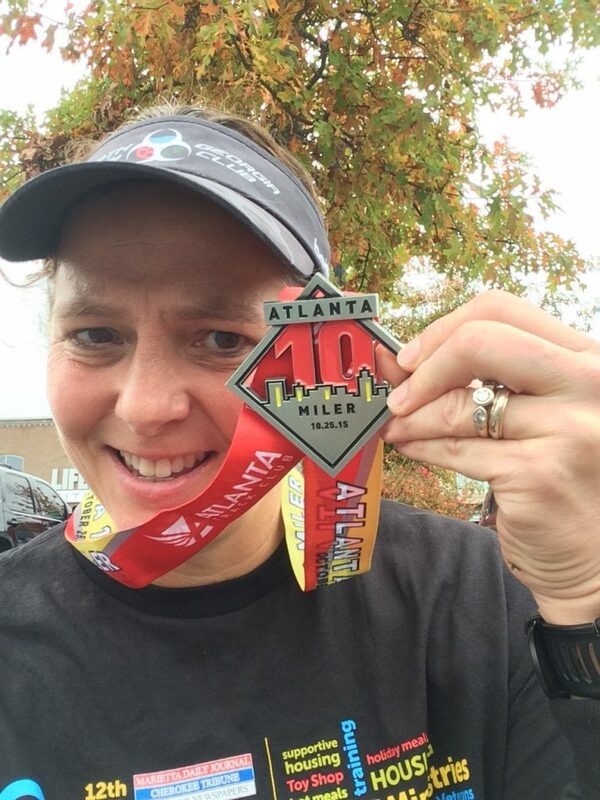 Then race #4….the Atlanta Half Marathon on Thanksgiving Day. Another 13-mile race; In fact, my 3rd half marathon in 6 weeks (plus that 14 mile run I did…I guess you could say it was my 4th). I didn’t run much prior to this race, because I was so sore. I think I was worried about my knee so I was compensating my gait, aggravating my left hip, so everything was bothering me. I met up with friends in the morning, started off slow and made it all 13 miles. I was thrilled to have finished, I really wasn’t sure what I would be able to do. But then looking back at my race results I noticed that I went more than 16 minutes slower than the exact same course two years earlier. That’s it. I’m tired. My body needs to rest. You are supposed to run less and take more rest the older you get, not do more. So my goal is to do ZERO running in the four weeks between Thanksgiving and Christmas. You think I can do it? I know I can do it, and I’m pretty sure I will. My body is achy. I need to focus on healing up, resting, stretching and coming back healthy in 2016. I’ll keep swimming and will spend more time hiking with my son & dog (the weather is perfect for that now), and hope & pray I feel better in January. 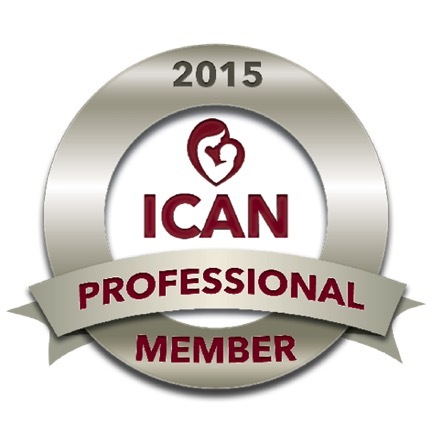 I am VERY thankful that chiropractic care and massage therapy has helped me, without that I probably would be injured. What challenging things have you done lately? When was your last adjustment? When was your last massage? Chiropractic care can help prevent injuries, recover from an injury & promote optimal health & healing. Ask us about it.